Technology has evolved rapidly in the last decade or two and it will continue to do so for years to come. Some business owners still think that a website is a nice-to-have but the majority realise the benefits a custom website design holds for their bottom line. In fact, having a custom website design for your company in Cape Town will take your marketing to a totally different level. Having a custom website design will benefit your business in the following ways. While it might be more cost-effective to opt for a template, you’ll be sharing the same design with thousands of other website owners. If you want your business to be successful, it’s vital that you stand out from the rest. Thus, the better option would be a custom website design. Every business is different and a one-size-fits-all approach just don’t make sense. Improve the functionality and power of your website by letting a professional developer design a custom website. Quality coding is vital since it will have a direct effect on how it takes for your website to load. You have only a few seconds to capture your visitor before they move on to the next website. If they move on, you lose money. Errors are bound to happen even if you have the best website in the world. When you use a reputable company like Netgen to design your website, you will also have ongoing fast and reliable support. Don’t be charmed by the lower cost of a pre-designed website. Somewhere along the line, you will pay the price when your website no longer interests your visitors. 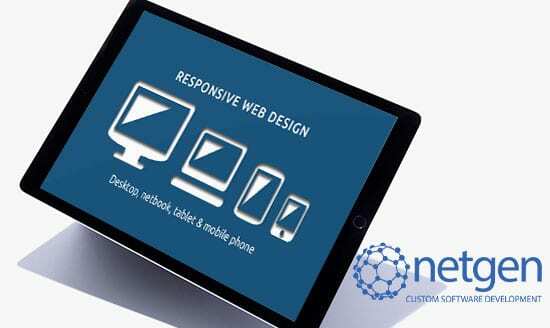 Get in touch with Netgen for a free quotation for your custom website design in Cape Town today. Next PostCommon website mistakes made by small to medium businesses.